Questions about Elk Lighting 14521-1? 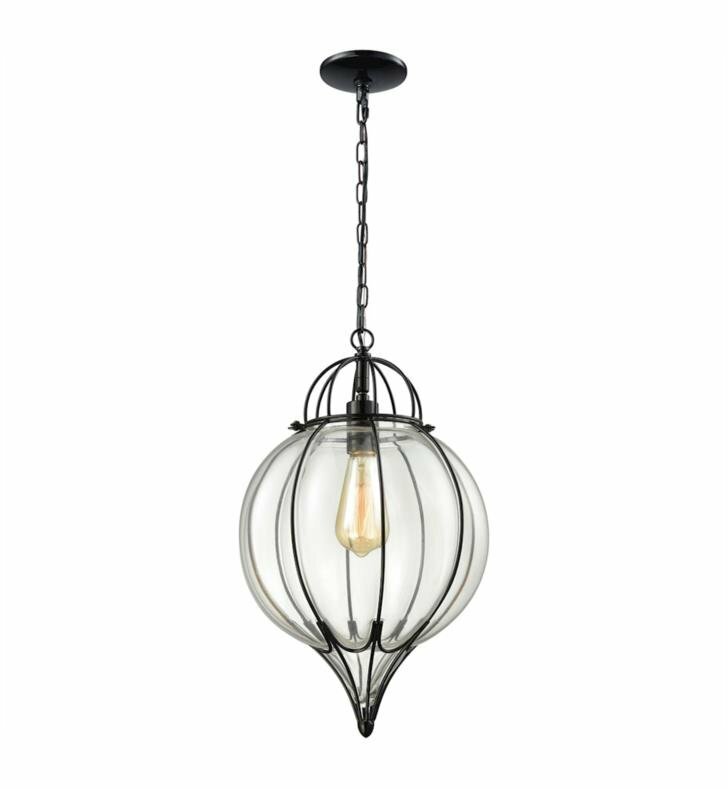 The Adriano collection showcases large, clear glass that is blown into wirework producing curvaceous glass protrusions . Interior and exterior lighting is important in providing ambient, task, and accent lighting. As lighting fixtures evolve in technology and form, light systems are becoming more important is building an energy efficient home environment. W 12" x H 57"